[dropcap]Y[/dropcap]ou could be forgiven for forgetting, with all the noise surrounding the Patriots, that what should be a pretty good game will be played soon. In my last post, I stated that I thought that New England should win by 3 or 4 points in what might be a classic struggle between two very good defenses. Now that I’ve had time to think about that, please allow me to tweak that a bit. I haven’t changed my mind about the overall outcome. It’s more that I’m less sure that it will be your typical low scoring, defensive exhibition. 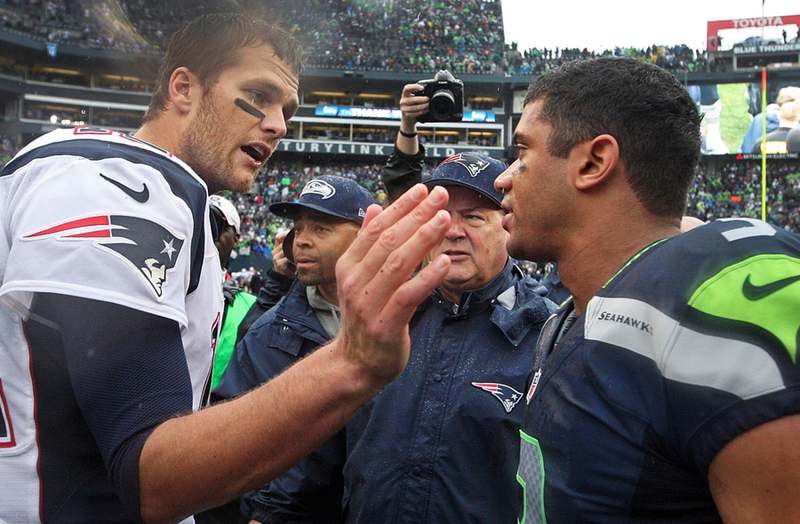 If both defenses play up to their potential, and if quarterbacks Russell Wilson and Tom Brady take care of the ball, then a 17-13 outcome makes sense. It’s just that it seems to me that it is more likely that with “D”‘s like those involved, there are going to be turnovers. Then it becomes a matter of how effectively the offense can turn those mistakes into seven points. Should Wilson throw another 4 INTs, I would hope that the Pats would make Seattle pay for it in a way the Packers did not. Conversely, Brady has made a habit of throwing late second quarter picks that have cost them points; and I’m concerned he’ll do it again. If it does turn into a turnover battle, then I can easily see the game becoming a 35-31 affair, much like the Patriots-Ravens game. There is a third potential scenario where one team gets all the turnovers, then the potential for a more lopsided win exists, but I’m doubtful that will happen. I expect that the direction of the game will be apparent early on with the answering of some “essential questions”. Will the Patriots be able to slow Marshawn Lynch? Is “Gronk” that good? Will the New England offensive line hold up? In a related matter; will the Pats be able to run on Seattle? 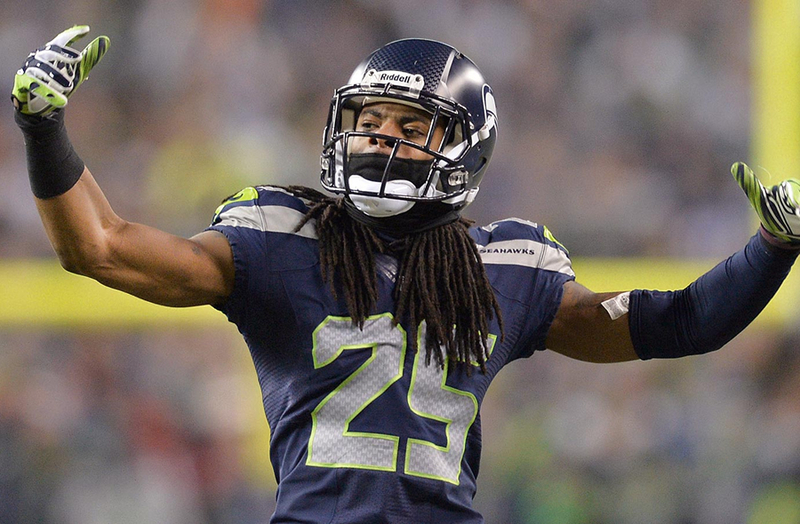 Will receivers be able to get enough separation from Richard Sherman and/or Darrelle Revis to be thrown to? As I said, the answers to these questions will go a long way to determining the eventual winner of Super Bowl XLIX. Whether it be 17-13, 35-31 or somewhere in between, I’m still counting on a Pats win, a fourth ring for Tom Brady and a humbled Mr. Sherman. I think that the thing that drives me the craziest about the current allegations surrounding the Patriots win over the Colts, is the failure of the memories of a great many people. People are quick to accept the Patriots being labeled “cheaters” because of “spygate,” although no one seems to remember the actual event. Everyone was told by the league not to record the signals because they didn’t want them to use the info to affect the outcome of the ongoing game. Belichick thought he had found a loop hole by not using the video during the game, but instead compiling folders of the trends and habits of the various coordinators and their defenses. The league did not appreciate the difference and told him to stop. When he chose to do it one more time against the Jets, he was turned in by old friend Eric Mangini, and you know the rest. (And we all know how that all worked out for Mangini…) Even though people have made allegations that Belichick has done this or that, I don’t believe anything of any substance has been proven since then, or am I the one “mis-remembering”? Speaking of memory problems, I find it interesting that it was John Harbaugh, of all people, who accused Bill Belichick of wrong doing. For one thing, Harbaugh owes his job as Ravens head coach, at least in part, to the recommendation that Belichick made on his behalf. Also, the Ravens organization, going back to the 2000 involvement of Ray Lewis in a double homicide, through Lewis’ October, 2013, “miraculous” recovery from a “season ending” torn tricep muscle, through the Ray Rice domestic violence charges, as well as the current investigation of the recently released Terrence Cody for animal cruelty; is hardly in the position to point fingers at anyone. 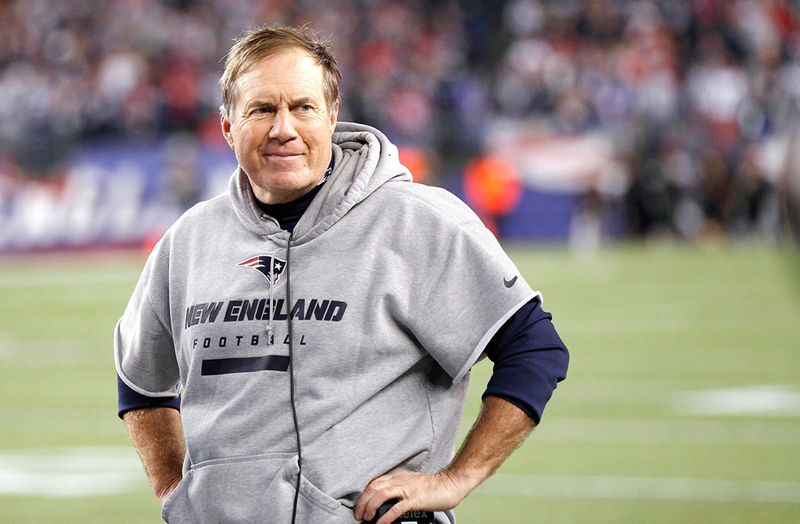 I understand why people don’t like Bill Belichick. There are plenty of times when he drives me crazy as well. But before people start calling for his job or draft picks, don’t you think they should get a firmer grasp of the facts?